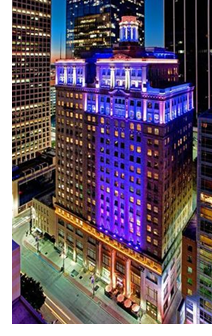 ​ ​DALLAS – Downtown Dallas' landmark Davis Building is getting another redo. Tim Headington bought the historic high-rise in 2017, and now the building is getting a $45 million reboot. Mycon Construction says it's been hired to renovate the 250,000-sf residential and retail building at 1309 Main St. over the next 15 months.